With the Winter Olympic Games commencing in South Korea it’s noteworthy to mention that one of the most successful Olympic sports for Jewish athletes has actually been the marquee event of the games – figure skating. In fact, at least 16 Jewish skaters throughout the generations have won Olympic medals – with the trend becoming ever stronger in the 21st century. Historically it has been women, more than men, carrying the flag for the chosen at the games. To honor them we are selecting the five greatest Jewish female skaters of all time. Oksana Baiul was the real winner of the ugly “Battle on the Ice” between Americans Tonya Harding and Nancy Kerrigan in 1994. While they battled on and off the ice it was Baiul, the 17 year from Ukraine who defeated Kerrigan to the gold medal in Lillehammer. She became her young nation’s first gold medalist in any sport. Her life story touched many: deserted by her father at infancy she lost her mother and grandparent at the age of 13 and was practically an orphan living in state institutes. She moved to the USA where her career ended through injury, and she herself fell into a personal crisis that led her to Alcoholism. As part of her recovery she researched her family history and discovered her mother was the daughter of a Jewish Hungarian woman who fled to Siberia during World War II. Baiul embraced Judaism, studied the religion and became active in Jewish organizations. The one closet to her heart is “Tikva” – helping Jewish orphans in the Ukraine. 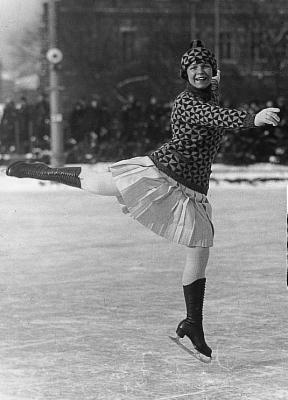 Lily Kronberger was born in Hungary in 1890 and by 1910 was already a three-time World Champion in ladies skating. But it was at the World Championship in Vienna in 1911 that she would revolutionize the sport. Until then the music at skating competition was used merely as a background. On the advice of her friend, famous Hungarian composer Zoltán Kodály, she brought her own band to Vienna, and choreographed her routine to their musical program. She won her fourth and last world title and changed the sport forever – from there on all routines are adapted to music. Arguably the greatest diva of the sport – Irina Rodnina reached total world dominance in pairs figure skating in the 1970s. Winning three consecutive Olympic gold medals (1972-1980) and an incredible 10 straight world titles (1969-1978). She did so with two different partners. She won her first Olympic gold with Alexei Ulanov. Ulanov then decided to replace Rodnina with Lyudmila Smirnova – whom he married. Rodnina switched to Aleksander Zaytsev and they too got married! 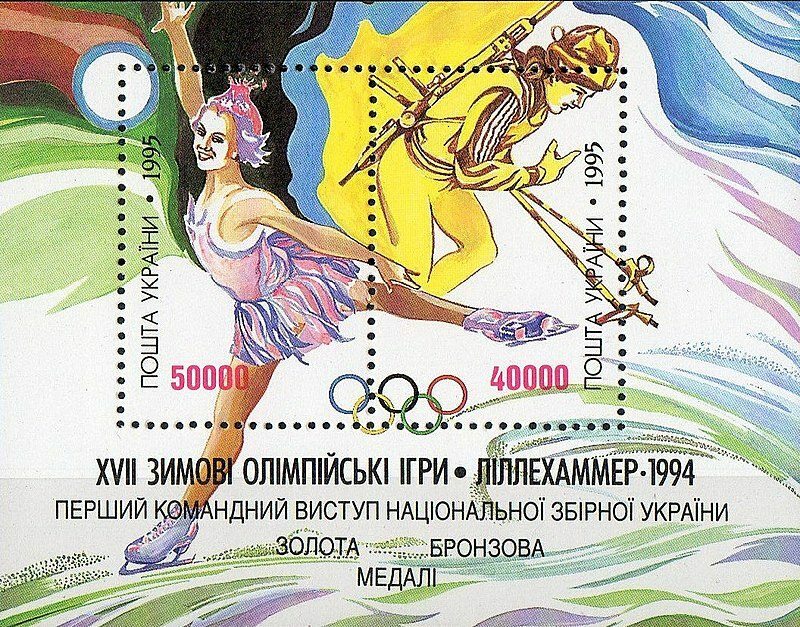 From a sporting perspective they were more successful – winning six more World championships and two Olympic Golds After defeating Ulanov in major competitions. Their victory in the 1973 world Championship in Prague was unique. The music failed due to sabotage from a Czech protester, but Rodnina and her partner completed the program in silence – receiving a standing ovation from the Prague audience. 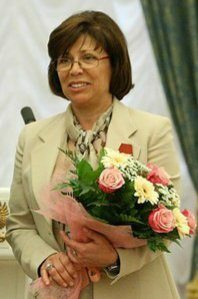 Rodnina did not reveal her Jewish background during her career in the USSR. She would do so only after the fall of the Soviet Union. She worked for a few years coaching in the US, but returned to Russia where she is a national hero. She was selected to Russian parliament and lit the Olympic torch at the 2014 Sochi games. Alexandra Pauline Cohen was born in 1984 in Westwood, California – the daughter of a Jewish-American father and Jewish- Ukrainian mother. Starting her sporting activity in gymnastics she switched to skating by the age of 7. By age 16 she finished 2nd in the 2000 US Championship. Two years later she finished an agonizing 4th at the Salt Lake City Olympics. Determined to fulfill her Olympic medal dream she skated on to greater success. She was World Championship runner-up in 2004 and 2005 before winning silver at the 2006 Turin Olympics. Incidentally, bronze medal winner, Irina Slutskaya from Russia is also from a Jewish background. She went on to study at Columbia university and work at Morgan Stanley. She also featured in the documentary “The Weight of Gold,” where she interviewed Olympians about mental health issues they face as they chase their goals. Not outspoken about her Judaism, Sarah Hughes, 2002 Olympic Champion was born to Jewish mother and Irish father in Great Neck, New York. Identifying herself as Jewish she admitted she missed on her Bat Mitzvah party due to training. Her life would change rapidly in 2002. A week before the Olympics she featured on the cover of Time magazine as a promising Olympian, and she then stunned the world at the games by winning gold in the Ladies competition – the only American to do so without winning a World or US Championship beforehand. Her victory parade in Long Island was attended by Senator Hillary Clinton. Her Autobiography “A Sudden Champion” appeared later that year. A graduate of Yale, Hughes is an active breast cancer awareness spokesperson – as her mother Amy is a breast cancer survivor. She has said: “If I can get one person to get a mammogram, I’ve accomplished something.” She also worked training disadvantaged girls in skating in Harlem. Her sister Emily represented the US in the 2006 Olympic Games – finishing 8th.